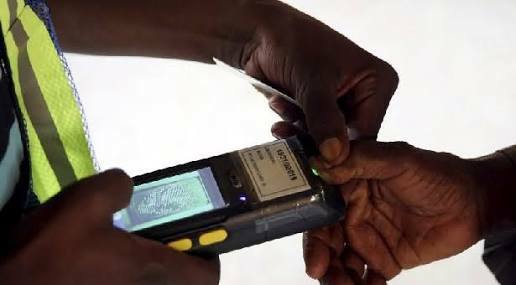 The National Leadership of the All Progressives Congress (APC) and the Panel of Supreme Court Judges to handle various governorship election Appeals are in for a serious Loggerheads Over Card Reader which was the basis used by both Election petition tribunals and the Court of Appeal to Nullify various elections held accross the country. Investigation by PUO reveals that the Supreme Court Panels set up by the Chief Justice of Nigeria to oversee the Various Appeals by affected parties has warned the Leadership of the APC over the impending danger that awaits the party should the Supreme Court uphold the various verdict of the Tribunal and the Court of Appeal. This media learnt that the Leadership of the All Progressives Congress was told clearly that over 20 of its Governors will loose their Seats because the instruction on the adherent to the use of card readers by the Independent National Electoral Commission was grously disobeyed by both the APC and the PDP during the conduct of the April governorship election accross the country. PUO also gathered that the ugly development forced the minister of Transportation Mr Chibuike Amaechi to quickly return to Rivers State last Sunday to brief the Rivers State APC on the need to mobilise support so that the party can win huge amount of Assembly Seats should the Supreme Court uphold the election of Nyesom Wike on grounds that card readers cannot invalidate an election. It was gathered that the National Leadership of the party has opted to let go of some State it Earlier won at the Tribunal and the Court of Appeal.